Why Should Church and State Be Kept Separate? By now many of us are familiar with the right-wing argument that religion and government are inextricably intertwined, that the two have always mixed and can never be completely separated, and that the Constitution does not bar religious influence in governance. However, a group of legal experts at a recent forum have criticized this assumption as a myth, maintaining that secular civil government is critical for preserving civil liberties and American exceptionalism. The only problem is our reasoning for keeping church and state separate–what does America being “exceptional” have to do with it, anyway? As a ULC minister, do you find it relevant? The forum was held on Tuesday, 8 November, at the U.S. National Press Club, a professional organization and private social club for journalists in Washington, DC. (Every U.S. president since Warren Harding has been a member of the club.) During the forum, experts from the fields of law, history, and political science addressed growing concerns about references to God and religion on the part of conservative Republican presidential hopefuls during the 2012 U.S. presidential campaign. The event was characterized by overwhelming support for separation of church and state as a vital component of American democracy, and suspicion toward how Republicans are disingenuously using God and religion to promote their political and social agendas. Those in attendance gave a number of reasons for their concern over the growing attempt to blur the boundary between church and state. John Ragosta, author of Wellspring of Liberty: How Virginia’s Religious Dissenters Helped to Win the American Revolution & Secured Religious Liberty, said that the United States would not have received the respect and support of non-Christians if it were an unequivocally Christian nation, according to Shahid Ali Panhwer and Maha Mussadaq in a story in The Miami Herald. Meanwhile, Jamie Raskin, Maryland state senator and director of the Law and Government Program at American University’s School of Law, argued that while the U.S. Constitution allows people to practice the religion of their choice, government actions themselves should rely on logic and science. He also pointed out that while most Americans may be Christian in a demographic sense, the government itself is not Christian, and forcing right-wing fundamentalist Christianity on to constitutional law would topple two centuries of developments in secular government. The basic message seemed to be that America needs to remain politically secular in order to remain exceptional as a paragon of democracy. There are many fantastic points being made by people like Raskin: there is an important difference between the majority of private citizens being Christian on one hand, and government being Christian on the other–while most Americans are Christian, the actions of government are not predicated on the majority religious belief, for such beliefs are a private and not a political exercise. 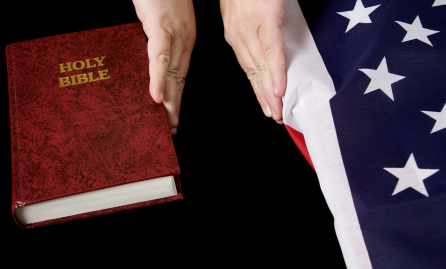 But supporters of church-state separation are still emphasizing exceptionalism as their motive. Why should our commitment to secular civil government be motivated by America being “exceptional”? Isn’t the preservation of civil liberties reason enough? To say that the American government should remain secular (and thus preserve civil liberties) in order to remain exceptional is like saying that it should remain secular in order to look good in front of everybody else. While exceptionalism can be defined as “setting an example”, it also connotes superiority, so protecting secular civil government in order to be exceptional suggests greater interest in looking “cool” than in protecting people’s rights; it suggests a mercenary, “might makes right” sort of attitude preoccupied more with recognition and personal interests than with principles themselves. But that smacks of egoism. Perhaps you’ve asked the same question as a minister ordained online: should the U.S. be protecting civil liberties in order to be “better” than other nations; or should it be protecting civil liberties for their own sake? Besides, why shouldn’t other nations be expected to serve as examples of successful democracy? Why shouldn’t they be expected or encouraged to develop secular civil governments themselves, thereby preserving the civil liberties of their own people? Placing this expectation on the U.S. alone suggests either that Americans alone have the ability to develop democracy, or that only Americans deserve it. But, obviously, if the U.S. believes that non-Americans deserve the same rights as Americans, it follows that the U.S. should expect other nations to be exceptional too. It is not, in other words, the sole prerogative of the U.S. to embody and benefit from democracy. 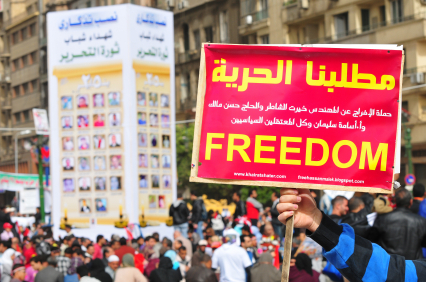 We do see the U.S. helping other nations demonstrate this kind of initiative with movements like the Arab Spring, in which fledgling Middle-Eastern democracies are earning the admiration of the world for toppling their erstwhile tyrants. Hopefully we will see more examples of this sort of assistance to other nations seeking the same liberties. There are many reasons why preserving secular civil government helps to nurture a healthy democracy (some nations, like the United Kingdom, manage to do this through organic secularization), but what should be our motive for doing so? To protect civil liberties for their own sake, or to make ourselves look like the cat’s meow, and the rest of the world chopped liver? If we wish for every citizen of every nation to enjoy the benefits of secular civil government, at the same time enjoying free exercise of religion, it should be the former. The U.S. needs to start fighting this cause because it benefits people, and not to get something out of it, like the sniveling, fawning admiration of weak and dependent foreign nations. That sort of attitude borders on nationalistic. What do you think as a nondenominational wedding officiant? As a person of religious faith, I think it’s important to study the idea of separation of church and state. It’s interesting how you mention that there is an important difference between the majority of citizens being Christian and the government being Christian on the other hand. In the end, I mainly think it’s important to just remember that everyone is entitled to their own opinion and we should respect those opinions, whether religious in nature or not.